Beth Aldrich is a Certified Health Counselor, Healthy Lifestyle and Nutrition Expert, engaging speaker, media personality and author of the book, Real Moms Love to Eat: How to Conduct a Love Affair with Food and Still Look Fabulous (New American Library, a member of the Penguin Group (USA), January 3, 2012); she delivers health, nutrition and balanced living fundamentals through keynote addresses, presentations, lectures and as a media spokesperson. As a health and nutrition columnist for Diet.com, SocialMoms.com, HotMomsClub.com and RealMomsLovetoEat.com, Beth shares her wisdom, experience and knowledge about health and nutrition topics. From food coaching, and living a balanced life to, the energetics of food and finding your passion, Beth delivers her message in a charismatic and inspiring way. I believe you are the proud mother of three boys. How old are they? They're 10, 15 and 16. I started my career when my 3rd son was about 8 months old; I was having re-occurring dreams for about a week, so I stared to journal them. The result was a PBS TV series (2 years later). It was a long process to get the whole thing pulled together, but well worth the effort. After 2 seasons of shows, I was involved in a serious car accident which facilitated me shifting gears and going back to school in NYC to study holistic nutrition at the Institute for Integrative Nutrition through Columbia University. After health coaching clients for over a year, I decided to turn my "work" with clients into a book. Hence, Real Moms Love to Eat (Penguin Books, NAL), was born. Women tend to have an idea about how we will balance career and parenting. 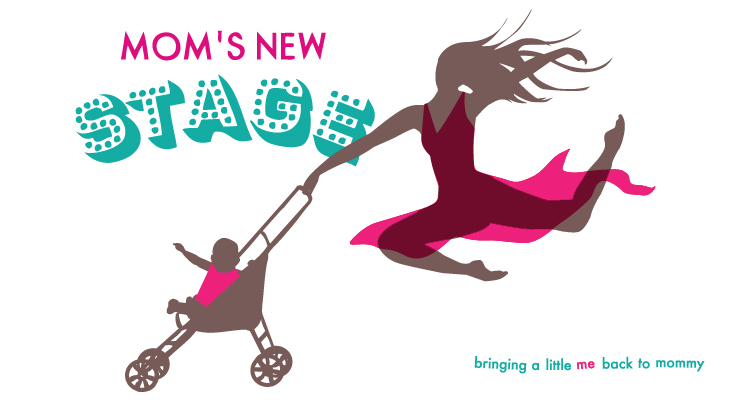 How much did your motherhood look like what you had envisioned? I never really imagined it any other way than how it unraveled. I typically have a strong sense of intuition and I just "knew" that everything would fall into place once the wheels began to spin. When you start a large project like producing a TV series, publishing a magazine or writing a book, you never really know how much work it really is...until you begin. That's why I truly like mentoring women about these topics because women need to help each other if we're going to succeed. You started For HER Information TV with relatively young children and a newborn. For the love of God, woman, tell us how!? I saw an ad for the (NATPE) National Association of Television Producers and Executives Conference in Las Vegas, so for the month before the conference, I hooked up w/ some guys who did film production and we belted out a cool "sample" show of what my re-occurring dream "looked" like. I then packed up and spent a weekend networking and meeting whomever I could to learn how to get this done. Armed with awesome advice, I went home and started filming with Columbia film students and was able to get the show on Public Access...a few months later, on local NBC PAX TV, and a year after that on the national cable channel, iLife. The following year, I landed it on (my goal) PBS... to be syndicated by PBS plus. While at the NATPE conference, I met TV show distributors (Canamedia) who signed me to an international distribution deal, where my show was aired in Israel and Turkey for quite some time. The serious car accident prompted me to stop filming and shift career paths. Kind of like, been there, done that...it wasn't an easy task, filming, editing and producing the episodes, but one I'm glad I tried. Your book, Real Moms Love to Eat is really a lifestyle bible for mothers. How can mothers overcome their biggest obstacles -- guilt and time -- in order to look and feel great? Like the saying goes, "Just do it". You HAVE to realize that YOU are your biggest cheerleader AND obstacle. If you get out of your way and out of your head and just trust your intuition, the answers come. Planning is key. If you plan ahead, you'll never eat crummy foods, because you took the time to think about what it is you really want to eat and what it takes to make those meals a reality. Anyone who says they don't have time to cook is probably not looking at it in a perspective of EATING to live healthfully. I know that eating a healthful diet keeps me WELL and away from the doctors, so you can bet, healthy is my first choice. Would you rather spend time, sitting in a doctor's office or chopping veggies? Your choice! I love so many of your recipes, but with a very picky two year old I fear making at least two meals! How can moms eat healthy food, satisfy the variety of palates in our homes, and not live in the kitchen? I make my food ahead of time and keep it in the fridge or freezer. I make a healthy soup 2-3 times a week and keep portions in the fridge in mason jars. That way, I just whip out a salad and heat up my soup while I pull together the family's meal. My middle son and husband enjoy my breakfast smoothie, so that's easy; and my husband ALWAYS has a salad w/ me at dinner, so ...there you go. If you get on autopilot and just pull everything out, it's not THAT difficult, I promise! You are a mother, writer and your own brand, which means real personal time is almost impossible. What do you do just for you, just to relax? I cook! I love trying new recipes. I also love to walk my dogs, get together with friends and host parties! All FUN to me! I remember Kelly Ripa in an interview discussing how the idea that parenting gets easier when your kids get older is so very false. What's your view on this? OH! boy! Well, if I could go back in time....I'd be a rock star mom! Teenaged boys just want to be left alone and for me, that's hard. I really "love up" my 10-yr-old because right now, I'm cool to him. The hardest part is letting the big boys stay out late. Not knowing where they are is very hard for me. I just have to trust, let go and HOPE my tracking software on my iPod is working properly :) hehe! Don't give up, respect it when your husband says "enough is enough". WALK away from work when kids are around and don't worry about everyone else's projects, just focus on your goals and dreams. If it's meant to be, it will happen, but you have to know when to move on. If it doesn't sell after a few years, get a business coach and try to figure out what to improve or how to reinvent yourself. 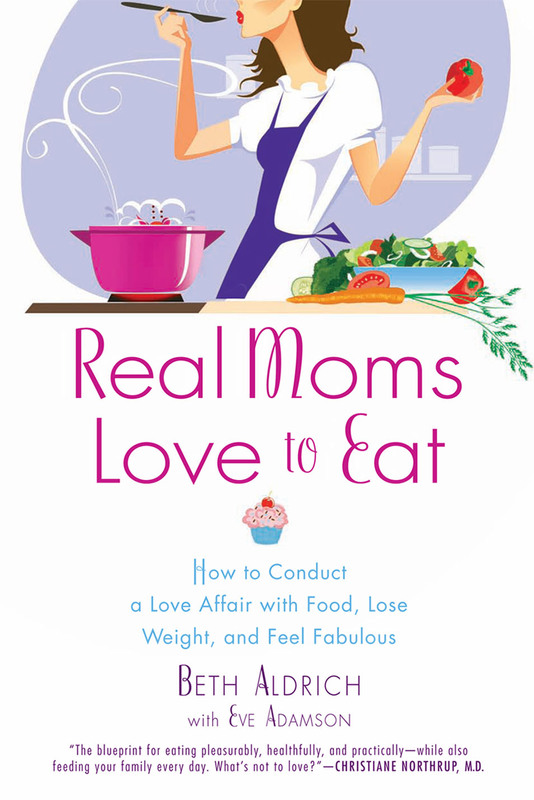 Want to get your copy of Real Moms Love to Eat signed? Want to meet Beth Aldrich? Meet Beth Aldrich at this exclusive VIP event! Bring your copy of Real Moms Love to Eat for her to sign! Books will also be available for purchase (they make great gifts!). A portion of the proceeds will be donated to The Dance COLEctive. fabulous, eco-friendly pieces to your wardrobe! Your donation enables you to be entered into a raffle for great prizes like a facial package from esthetician Tiffany Markarian, a goodie basket from Real Moms Love to Eat, and handcrafted jewelry from See Jane Sparkle. *Dress for Success is a non-profit organization that provides interview suits, confidence boosts, and career development to low-income women in over 75 cities worldwide.